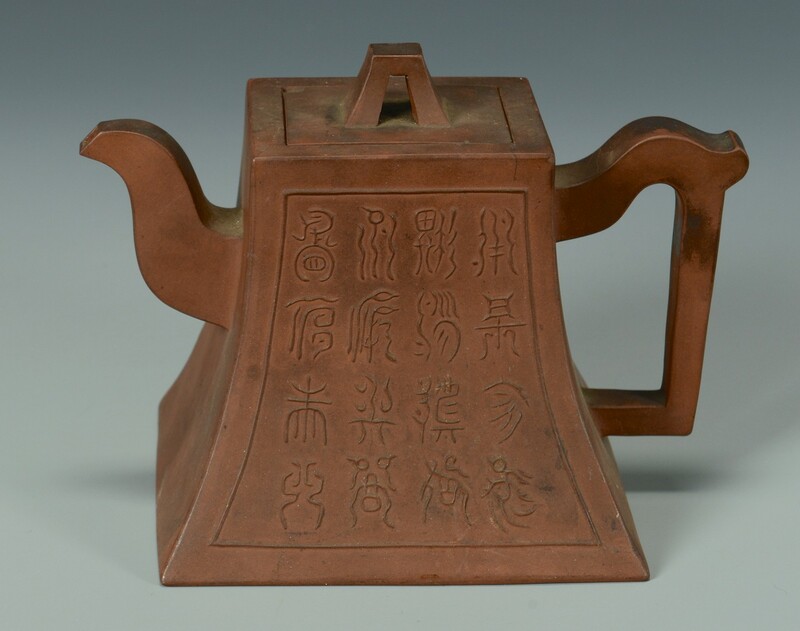 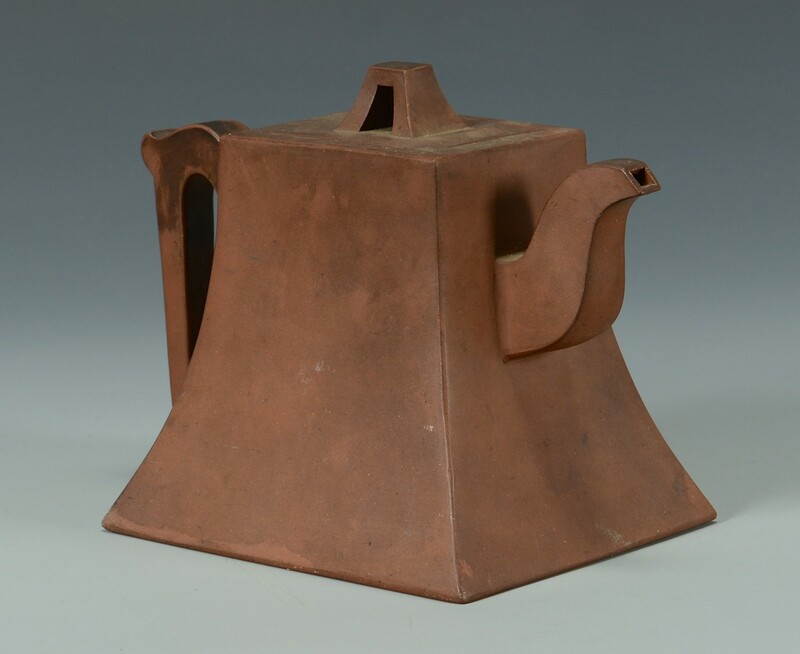 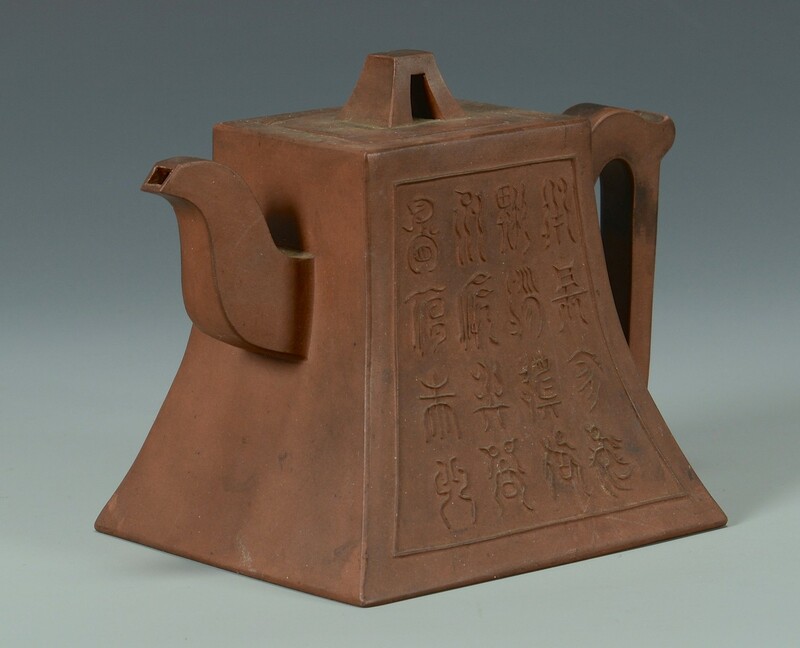 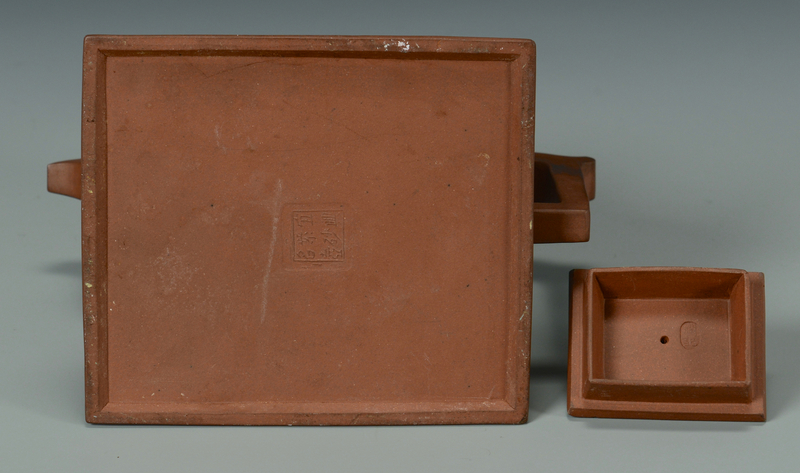 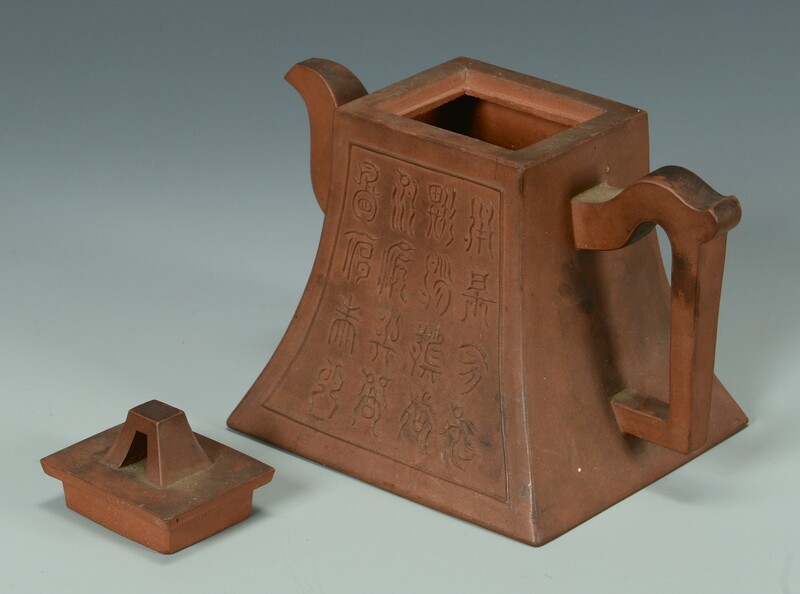 Chinese Yixing clay teapot with inscription or calligraphy decoration to one side. 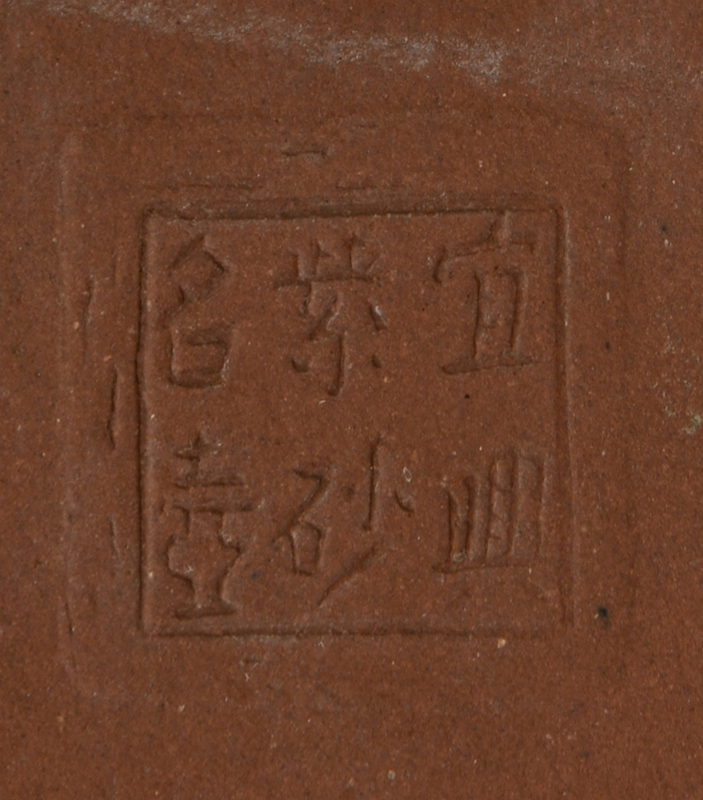 Underside of top marked and seal mark to base. 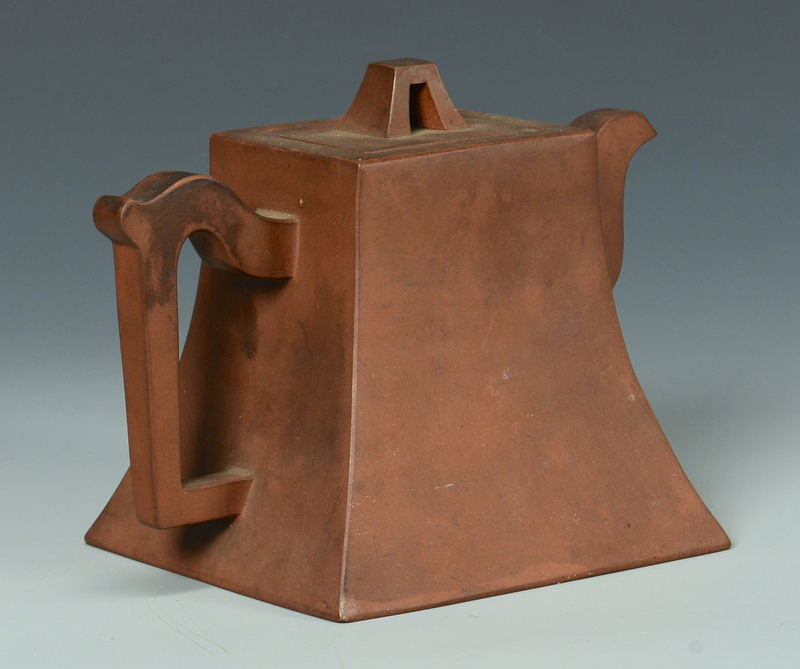 5" H x 6 1/2" W. Late 19th/Early 20th century. 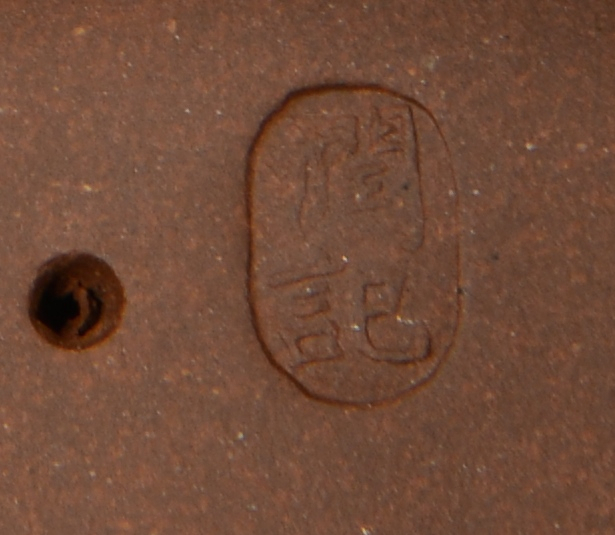 Condition: One shallow chip to corner of top, otherwise very good condition.